About the Piece: “See You, See Me,” was inspired by the idea that a simple reflection in nature can have a profound emotional effect on people. Even without interaction, it speaks volumes about our own passions and insecurities. If we could only ask just that of each other. About the Artist: Megan Phallon was raised in a small coastal town in Northern California. Art has always been a constant in her life from an early age. She’s traveled extensively in Central America and the Caribbean, which has a huge influence on her color choices. Megan is a self-taught painter. She has been influenced by artists like Edward Hopper, Ronald Penrose, and Kyle P. Stewart. 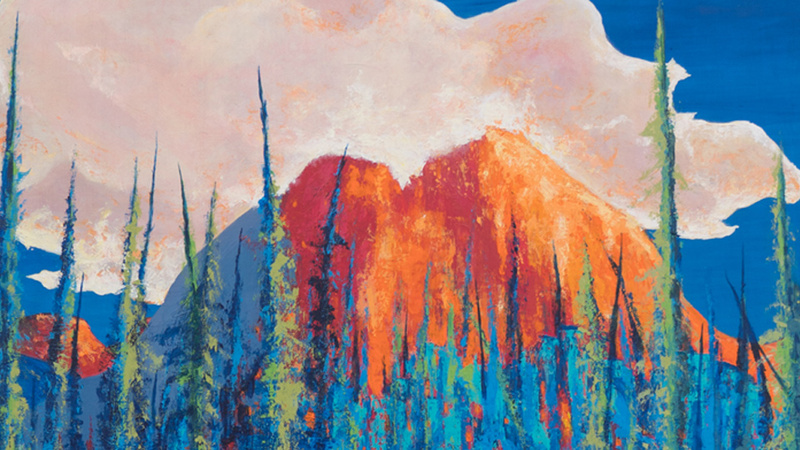 The scenery most featured in her paintings is a combination of places she has lived, including Northern California, Southern Utah, the Black Hills of South Dakota, and now Central Oregon.